Many of the most important lessons in the education of physicians are not well conveyed by lectures, books, and electronic media. These lessons touch on such topics as work ethic, goal setting, patient interaction, consultation, and coping with uncertainty and failure. 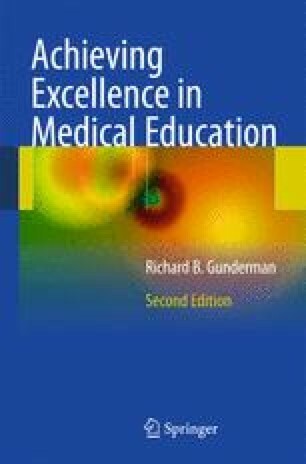 Whether we are aware of it or not, each medical educator manifests characteristic patterns of conduct in these areas, and these habits exert a formative influence on medical students, residents, and other learners. It is a mistake to conceptualize learning as the mere memorization of facts. It also involves the adoption of attitudes and patterned approaches to daily work, and this adoption often takes place at a subconscious level.